The following are screen shots that show examples of what the user will see on the screen when interacting with this software. They consist of Questions supported by guidance followed by Answers supported by guidance. The guidance is important so that the user is not left “alone” in their journey. Two paths are illustrated here with a selection of screen shots; i.e. not every stage on the way along each path is shown here. 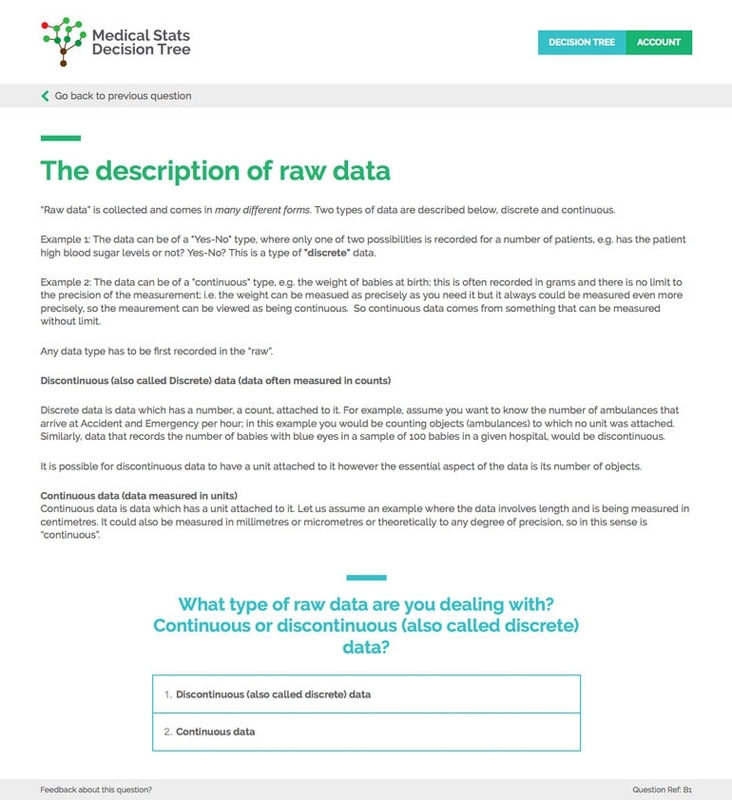 The first example shows a few screen shots from a path a user would follow to select the correct statistical descriptor(s) for the data to be studied. 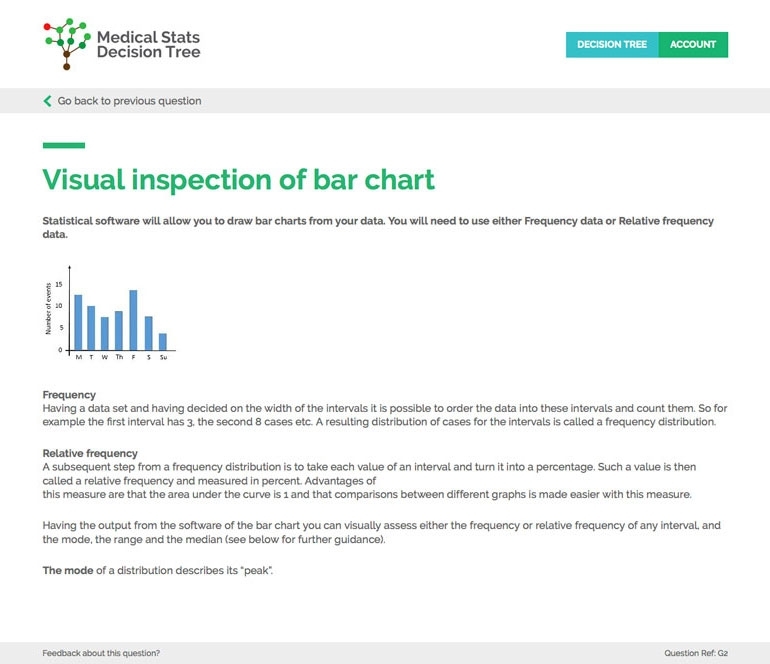 The second example shows a few screen shots from a path a user would follow to find out what statistical test(s) should be used. Eventually the user is told what to do; in this case what statistical descriptors are provided the resulting bar chart depending on the type of raw data used. 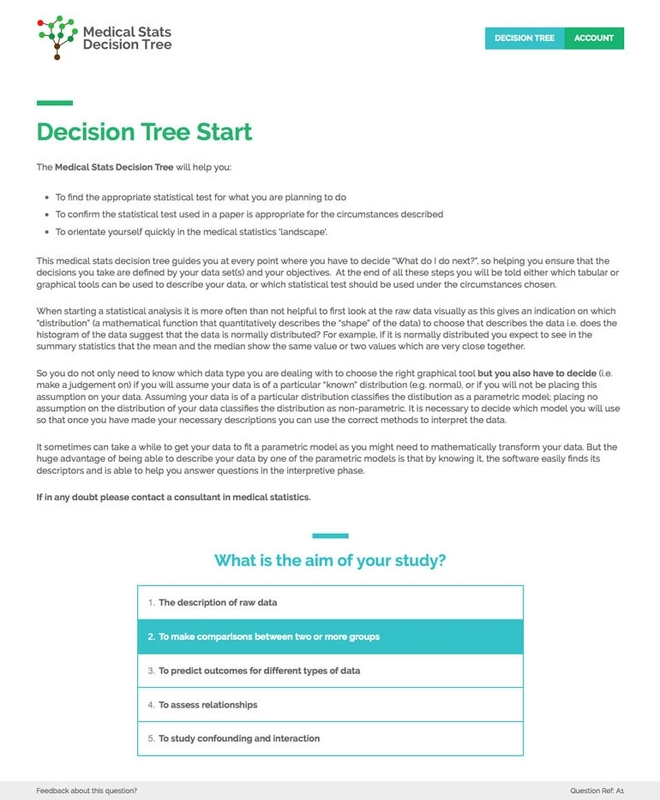 The second example shows where the end of the branch tells the user what statistical test to use. Here the question the user has to answer is as before, viz. 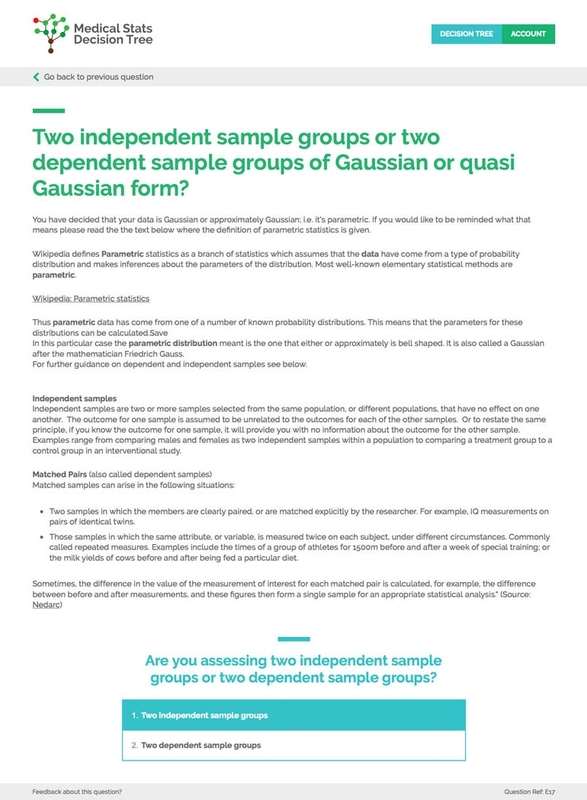 The user selects an inter-group comparison and later on (stages not illustrated here) has to choose whether the sample groups are dependent or independent. 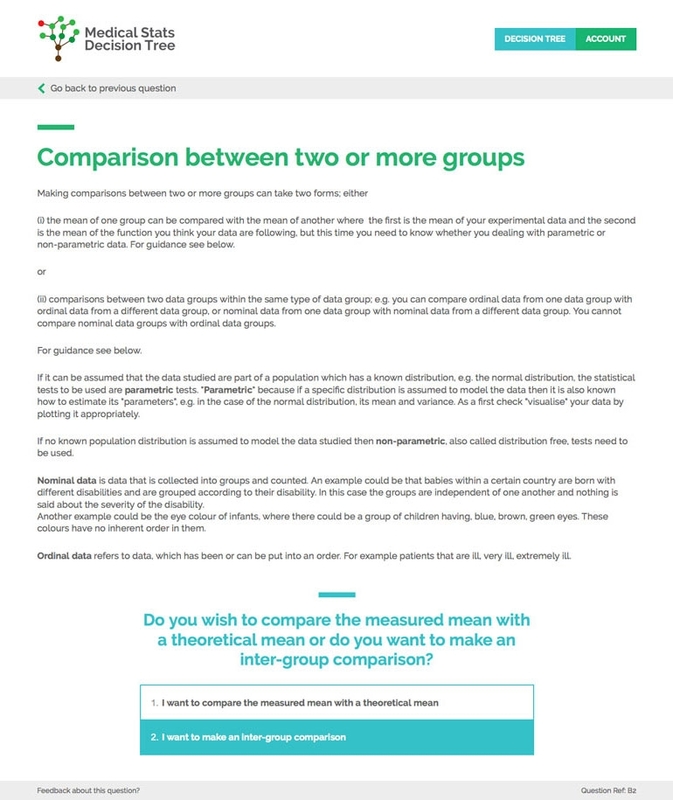 The user selects independent or unpaired groups and is now told the stats test that needs to be used (the last slide here). 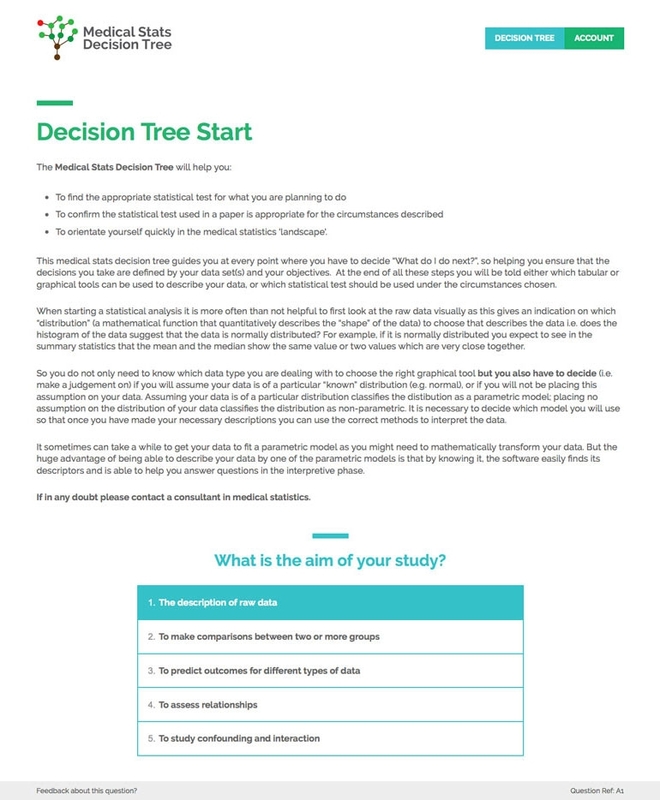 © Copyright Medical Stats Decision Tree 2019.